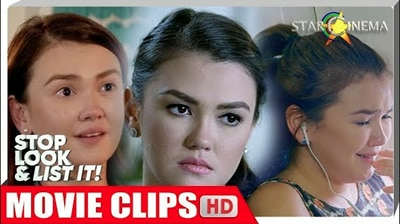 From “One More Try,” to “The Unmarried Wife” and “That Thing Called Tadhana,” mapapa-aray ka na lang sa mga linyahan ni Hugot Queen Angelica Panganiban! Let’s #RiseUpTogether with this #HappyPride tribute! Term of endearment ba kamo? Meron 'yan ang fave love teams mo! We still can't help but chant "jowa! jowa! jowa!" sometimes. ❤ Check out more big-screen pet names in this special compilation!